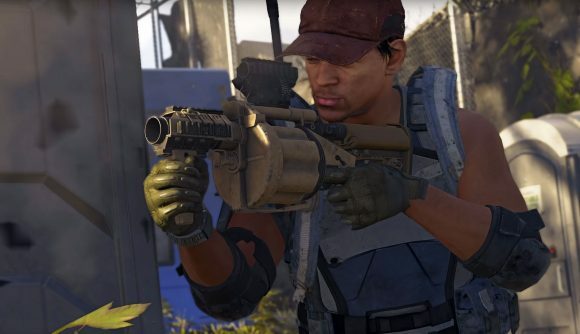 Something’s up with The Division 2’s signature weapons – specifically, some players are finding that theirs are always empty. Specialist ammo just doesn’t seem to be dropping almost at all, with some players going hours between ammo drops for their crossbows, grenade launchers, and top-tier sniper rifles. What’s Good Games founder Andrea Rene tweeted about the issue Friday night, saying she had only gotten two grenades for her launcher during three hours of play with her clan. In a follow-up, she mentioned that one of her clan members hadn’t gotten any crossbow bolts in more than 90 minutes. That makes it pretty tough to leverage those specializations meaningfully. Other players have complained about the issue as well. Many responded to Rene’s tweet, while others have taken to Reddit to say they haven’t been seeing specialist ammo either. Fortunately, Ubisoft and Massive are investigating the issue. The company replied to Rene’s tweet, asking for some additional details but saying it’s actively investigating the issue. So far, Ubisoft hasn’t provided a timeline for when a fix might be deployed. Here’s Rene’s tweet, with Ubisoft Support’s reply. Hey, Andrea! We are currently investigating this issue. Does this affect the sharpshooter and survivalist? Does ammo not drop for either of the two specializations even after extended play sessions (minimum 30 minutes)? Other players have pointed out one possible semi-workaround. You can always return to the White House, switch specializations, and then switch back to your desired specialization to have your ammo topped back off. That’s a bit of a pain, but it’s at least a way to have some ammo in the drum (or quiver, or magazine, as the case may be) for taking on The Division 2’s endgame and the Black Tusk.